Kolye's Mounted Stations of the Cross, cast in bronze or 24k gold plated. 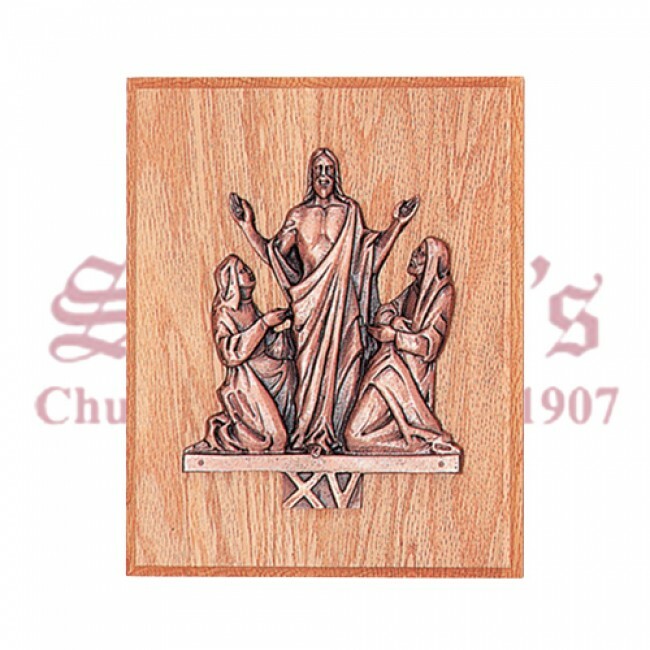 Finely crafted with attention to detail, cast bronze Stations of the Cross mounted on 8" x 10" oak or walnut plaques with an elegant small cross. This magnificent complete set of 14 stations is available in statuary bronze finish or 24k gold plated. Great easter gift.